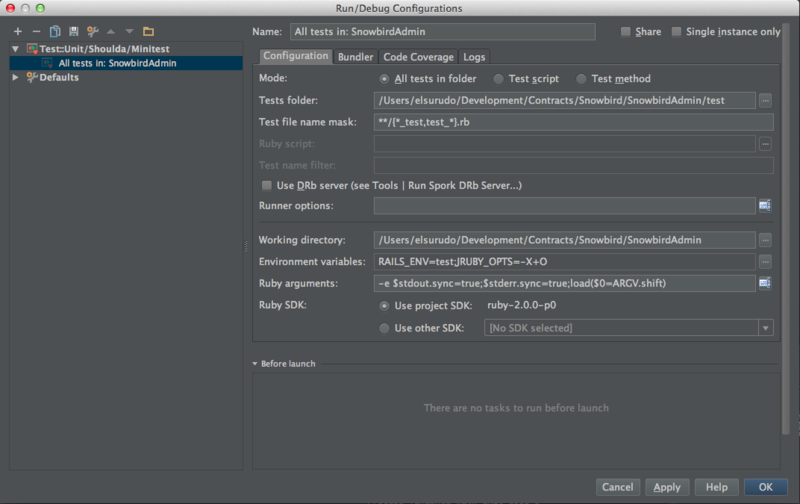 I'ma having a problem setting up testing via RubyMine. Running my test suite works fine via "rake test", but all my tests fail with "Exception message: cannot load such file -- test_helper" when I try to run them from RubyMine. It seems to have trouble finding my test_helper.rb file, though. Any ideas? I simply do a "require 'test_helper'" at the top of each of my test files. I'd check working directory and load path for the configuration you are using. Hmm, can you be more specific? I just checked my load path settings in RM, and they were empty. I tried adding my "test" dir to the load path (which contains test_helper.rb), but it did not help. Could you please provide screenshot of the configuration you are using. What specifically would you like me to take screenshots of? Sorry, I'm new to RubyMine! As far as I know, I haven't changed much in my config. 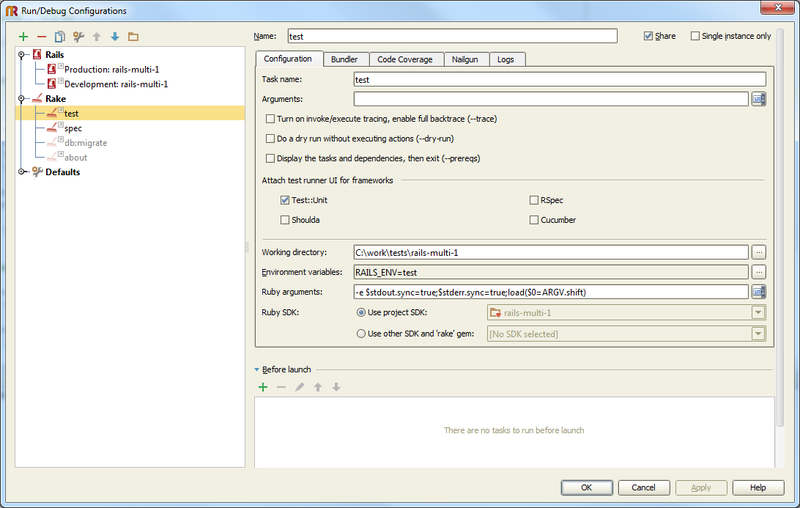 Go to menu Run|Edit Configurations... and you will see something similar to the screenshot I've attached. Sure thing, my configuration is attached. It looks like you need to add "-Itest" at the beginning of "Ruby arguments". Thanks, that did the trick! Strange that that wasn't the default. One other thing. 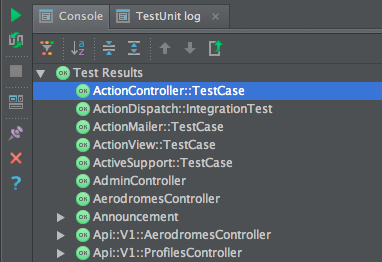 When I run my tests, in my output I also see the test support classes (ActionController::TestCase, etc.) being tested (although these have no tests... see screenshot). Any way to get rid of this clutter?